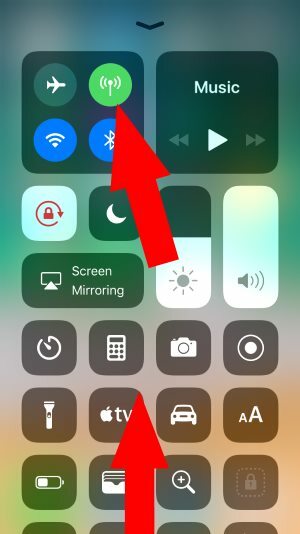 My last article will help to use the cellular shortcut in latest iOS or Prior from notification center, and now here I am going to explain new feature to use Cellular Data shortcut on iPhone. The most significant update in latest iOS Customize Control Center, and iOS 10 is 3D touch, now using 3D touch, we can use Cellular data shortcut for enabling/ Disable quickly from home app. Not only the new iPhone model but also useful on iPhone. Pre-requisite: 3D touch supported device and installed iOS 10 or later version. For the OLD iOS version we can do only using the Third-party app, But now it also works and the Second method is used Cellular Data shortcut from 3D touch options. Apart from 3D touch, using a third-party widget app also work for creating a custom shortcut in notification center. Swipe up finger on the screen, See Control center > Find the network card and Touch and Hold > See Cellular icon or name with iCon. In Single tap on it, you can turn on or Activate Cellular data. 1: Find the Settings App on iPhone home screen. 2: Press and hold the Settings App icon until you show the 3D Touch popup. You might like this: Change 3D touch sensitivity. 3: Tap on Cellular Data. You will jump in the screen directly where you tap on toggle. I think it will save lots more time with privacy. Why does Apple not give in Control center? Anyone can use it (Turn on Cellular data) without unlock and may you lost your precious cellular data very fast. Have you any suggestion? 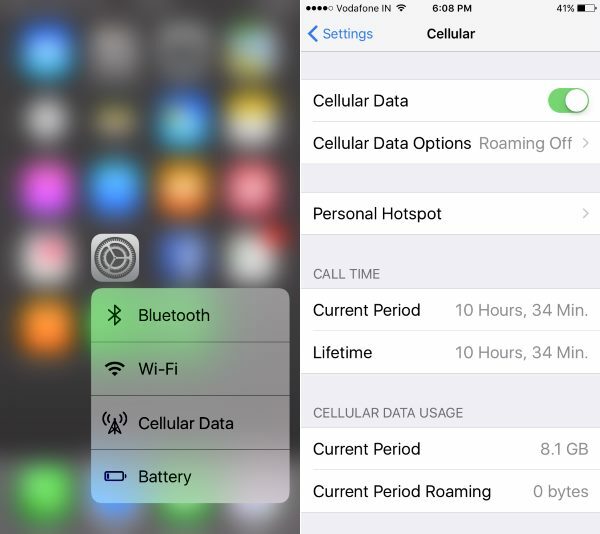 Why Apple is not giving mobile data shortcut in notification center or control center just like WiFi. Let’s discuss with me on the comment box. 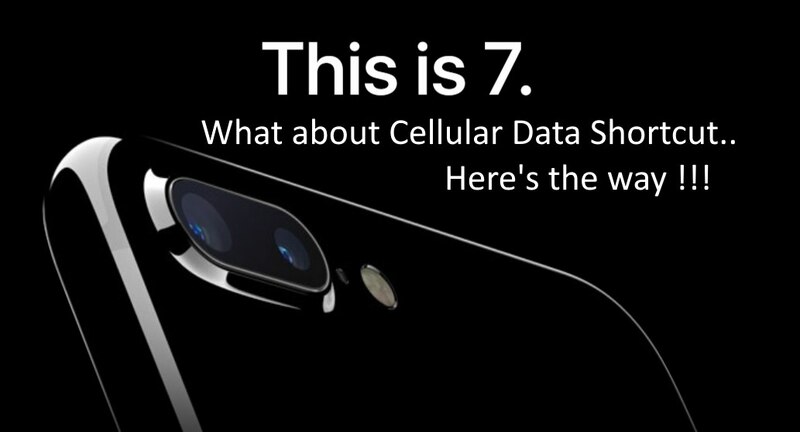 Still, are you looking shortcut for enabling cellular data shortcut on unlock screen? Launcher notification center and widgets collection notification, two apps are easy to set up the widget (include mobile shortcut) on iPhone/ iPad. Don’t miss to subscribe or Follow us on our social page (Facebook, Twitter or Google+) to get more updates and tips.